If base training wasn’t hard enough, this time of year is a mental game just as much as physical. I’m working HARD. I’m training hard. I’m resting hard. I’m doing things differently. I’m trying new strategies. I’m investing in myself. I’m travelling to train. I’m chasing weather. I’m working HARD. The truth is though, everyone is. Every professional athlete is putting in the time. Everyone thinks they have found their own personal formula. It’s funny though because we live in a time when we know everything everyone else is doing, yet we know less than we ever have before. We log onto Instagram to watch each person’s highlight reel. We think we know how their training is going- but they conveniently left out that they got 3 flats, got lost, ran out of water, and didn’t finish their intervals. Just when you think you have the edge up you find out it was just the necessary edge. I recently travelled to Southern California for a training trip. I thought I had it all figured out. Who would have thought that I think every single person I know is taking a training trip right now? Thank goodness I’m not getting left behind! It’s mentally draining to compare your every day life to everyone else’s highlights broadcasted on social media. It’s difficult to find confidence when you’re racing yourself every day. It’s difficult to control all of these factors. We worry about controlling the “factors” when what we really can control is our own minds. It’s time to get a grip. Stop looking over your right and left shoulder and start looking at what lies ahead. So…..how do I mentally prepare for my first race of the season? The first thing I did this year was find an epic race…the Mediterranean Epic to be exact. If you’ve read my other blog you know that it is a 4 day mountain bike stage race in Southern Spain in February. February! Wow that’s coming up fast. That’s kind of the point. This race has given me motivation throughout these cold winter months of training. Plus- as a US rider this gives me the chance to race almost a month before any big races in the US. This motivation has created even greater focus in each of my workouts. It’s easy to find a rhythm when you aren’t racing- a rhythm of satisfaction. I’ve recently discovered that one of my fears in life is to be satisfied. Satisfaction leads to stagnation. With the Mediterranean Epic on the horizon, I had no time to become satisfied this winter. I always had to strive for more. How Do You Mentally Prepare for the Mediterranean Epic? For the sake of this post, I am counting anything other than training as mental preparation. Even though many of these things will require physical action, they are all meant to help you feel more prepared on race day. Examine The Course: This is one of the most important things that I can do to mentally prepare before a long race. Any time I am racing a course where I cannot preride the course prior to the competition, I will examine the course online. The Mediterranean Epic features 4 days with the 3rd day being the longest and hardest day. The days range from 48 km up to 75 km with 1300-1800 meters of climbing every day! Online, the Mediterranean Epic has the elevation profile of each day in relation to the distance being travelled. I will go through each stage and write down the major climbs and descents of each stage and how long they last. I will then laminate these pieces of paper (using two pieces of packing tape) and tape my elevation cheat sheets to my top tube each day of the race. Plan Your Nutrition: Before long races I will plan out my nutrition down to the minute. I begin with the actual nutritional needs that I want to take in. For example: 50 grams of carbohydrates per hour. Then I will convert that into blocks or gels. Before starting the race I know how many blocks or gels I want to take per each amount of time. For example: 1 gel every 45 minutes or whatever it might be. This holds me accountable. 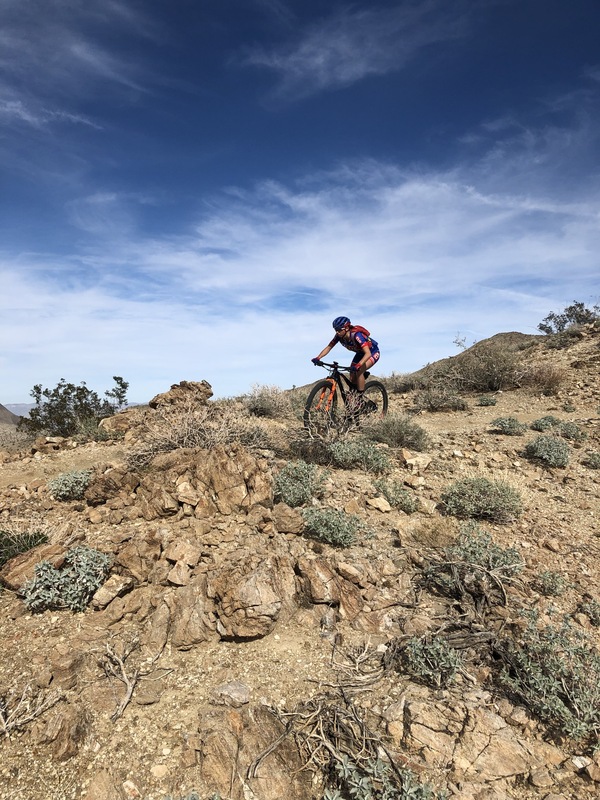 The trail might be difficult to navigate in certain areas or I might not “feel like” consuming more food, but if I have a plan before the race I am much more likely to adhere to the plan. Pack Your Bags: Before packing your bags, make a list. Spend a week or more writing down every item that you think you could possibly need for the event: tubes, tires, camelbak, jackets, gloves, chapstick… Whatever it might be, write it down then pack it up. It’s easy to forget something when it is buried in your bag. Writing a list down organizes your thoughts and creates a checklist for when you are done. Bonus points if you keep the list and can use it at races all year long. Plan Your Race Strategy: Your race strategy begins before you even wake up. Your race strategy means: What time will you wake up before each stage? What will you eat for breakfast? How much will you warm up? All of these things should be decided before race day. Otherwise, you might find yourself looking for a pump 30 minutes before race start. The 2nd part of race strategy is to talk yourself through all the scenarios of the race. How will you respond or feel if you are out in front? What if you are chasing? What if it is a sprint finish? Visualize yourself in all of these scenarios and be mentally prepared for anything that comes at you. Recount Your Training: You’ve put in a lot of hard work in order to prepare for this race. Don’t allow yourself to question it all when you get to the start line. Instead, use all of that hard work to your advantage. Be Ready For Anything: When you prepare this much for an event, you feel like it has to turn out one-way or another. It doesn’t. Anything can happen and you still have to be prepared to handle it. Part of your job is to prepare yourself for the unexpected. That’s one of my favorite things about mountain bike racing after all…anyone can win in the right circumstances. Let’s Do It! I’m headed to Spain in less than 1 month for the Mediterranean Epic. If you want to follow along, please subscribe to my blog. There will be a recap after every stage!